5 Ultimate Chocolate Gifts Ideas to Woo the Chocolate Lover You Know! Over the years chocolates have melted hearts of millions and billions of people with its aroma and heavenly sweet taste. It’s a matter of no wonder to notice everyone around you mad over chocolates. 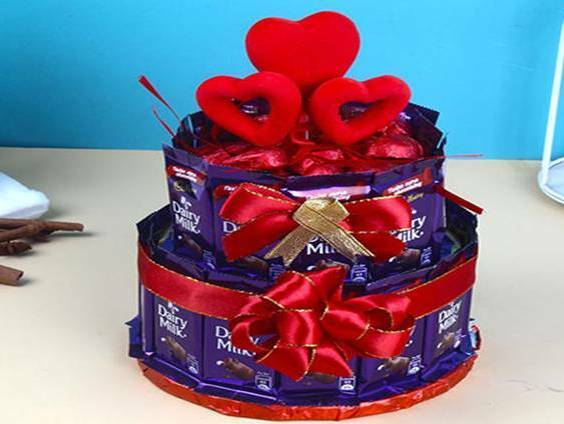 And, to surprise any one of those who is always mad for chocolate, what else can you think despite a Chocolaty gift. Just make it little special for the special one with a unique chocolate gift. Chocolate birthday cakes and chocolate bars have always been much-preferred gifts over the years. And it won’t be wrong to say that despite being a delightful Birthday gift (https://www.giftalove.com/birthday), farewell gift, anniversary gift or present for any special time of the year, chocolate bars and cakes are now quite standard and not so impressive gift options. In fact, these are easiest things to pick from a shop and gift. But, we really need to learn the motto of gifting. When we gift something to someone we actually wish to make that person happy and feel loved not annoyed with another chocolate box. So when choosing a Chocolate gift, a little creativeness is very important. And, here are the options you must try out for delighting your dearest chocolate lover. 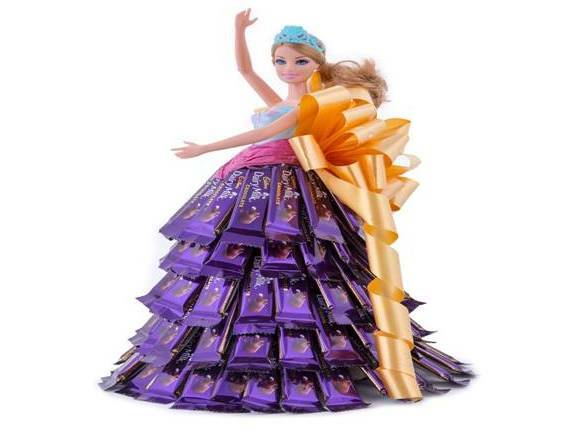 You might have seen doll shaped cakes seldom but a Chocolate doll is something very new to delight a little girl. Soon the birthday of a little girl kid, you can boost up your DIY skills and get such a lovely Chocolate Doll for a little princess who deserves the most delightful gift on her birthday, festive or any other special day of her. If you really win a heart of a special one on a special day with a chocolate gift as she or he loves chocolaty treats and delights then you can never go wrong with a Chocolate Bouquet. 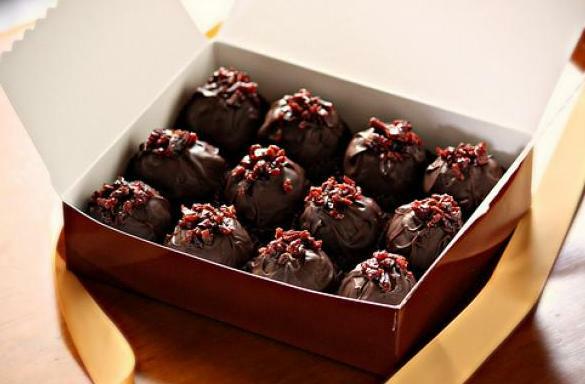 These days, you can easily buy Chocolate bouquet online or offline at local flower shops. 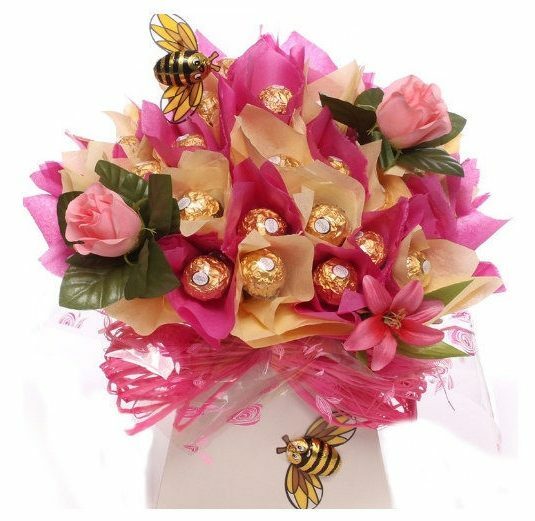 Well at Giftalove.com, you can get a wide array of these in amazing designs and styles for gifting during different occasion or celebratory moments to dears ones. Despite bringing that surprise chocolate cake for the chocolate lover you know, it better to look up for this yummy creamy chocolaty treat. 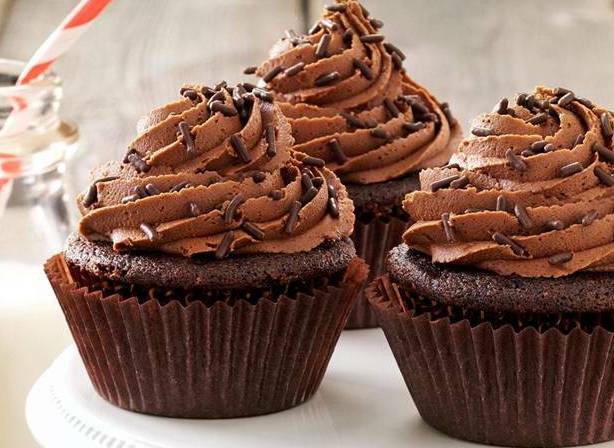 And that’s Chocolate Cupcakes. You can get a decorative box filled with yummy chocolate cakes of different flavours and icings on top. No wonder, it will be a box of happiness, anyone, to receive as Birthday gift, housewarming gift, Diwali Gift, anniversary gift or any other special time of the year. Despite gifting a usual Dairy milk or Ferrero Rocher chocolate box, you can delight the special one with a box of assorted Chocolates with nuts or dry fruits like almonds, pistachios, raisins, walnuts and more. Try gifting assorted chocolate of different shapes, flavours, and designs. How about totally confusing the chocolate lover with a box of traditional Laddoos? Well, this box will look like a Laddo box but will be filled with Chocolate balls that can be referred as Chocolate Laddoos too. No wonder, it will be a matter of great surprise for your special that he or she will always remember you for gifting it. 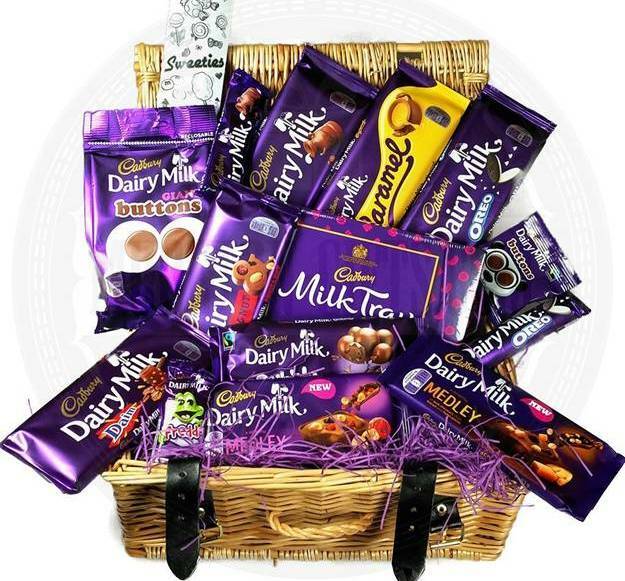 Overloaded with happiness will be the feeling of the receiver of this big basket of Chocolate Goodies. Well, the image may show different varieties of chocolates but you can opt for a basket of different kinds of chocolate products like chocolate bars, chocolate toffees, chocolate cookies, chocolate cakes, chocolate wafers and things alike. When your desire is to surprise the special one with a Chocolate cake then just ditch the idea with a Cake of Chocolate Bars. At GiftaLove.com, you can find a wide and unique variety of such cakes that are amazingly designed and crafted with chocolate bars into a shape of a cake. For a chocolate lover, this will be a heavenly desire to get so many chocolates and that too in a cake, shape. 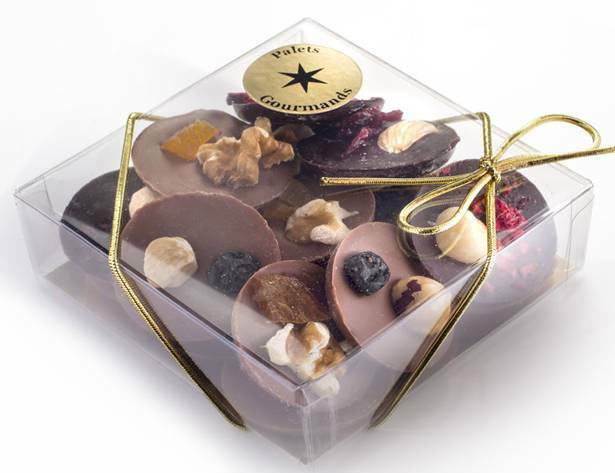 Chocolates can be a delightful surprise, a romantic gift and a true conveyor of happiness. 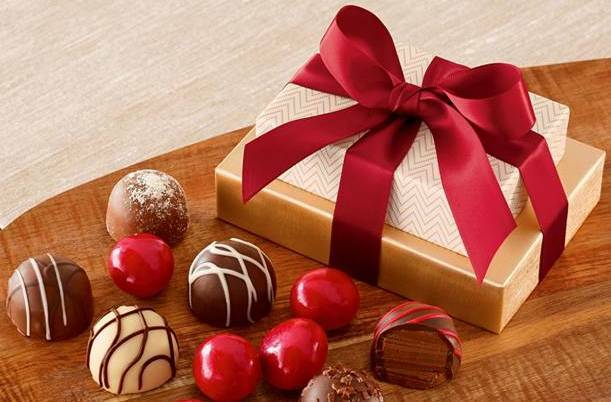 When choosing a chocolaty gift, a little thoughtfulness is all that you need to make it a memorable and heart winning gift for the special one at any celebratory moment or special day of the year. Hope you liked the ideas and will love to explore the range of chocolate gifts at GiftaLove.